My Dad Is Scrooge (2014) – What's New on Netflix Canada Today! “A Christmas Carol” turns into “A Christmas Corral” as the animals of Woodsley’s Farm help Oliver and his little sister June stage the classic tale to shock their Dad into embracing the spirit of the holidays. 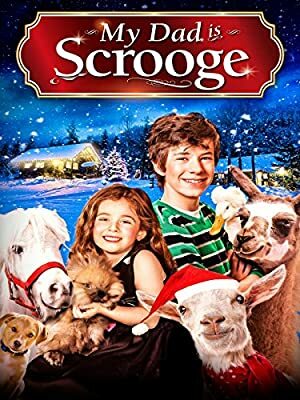 With help from some talking farm animals, two kids perform the classic “A Christmas Carol” to awaken the seasonal spirit in their workaholic dad. What are a couple of kids to do when their own father is a real-life Ebenezer Scrooge? Put on a Christmas show!